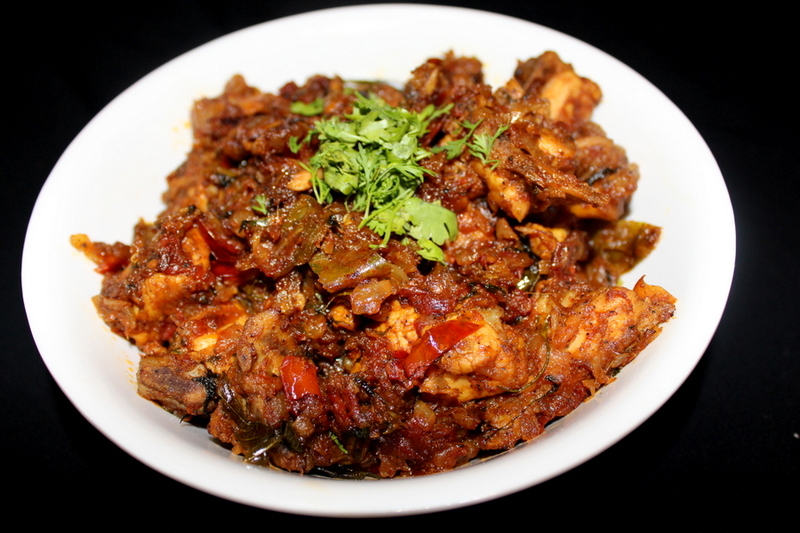 Pepper chicken recipe is a spicy south indian style chicken curry which is quite popular in andhra, tamil and kerala region. 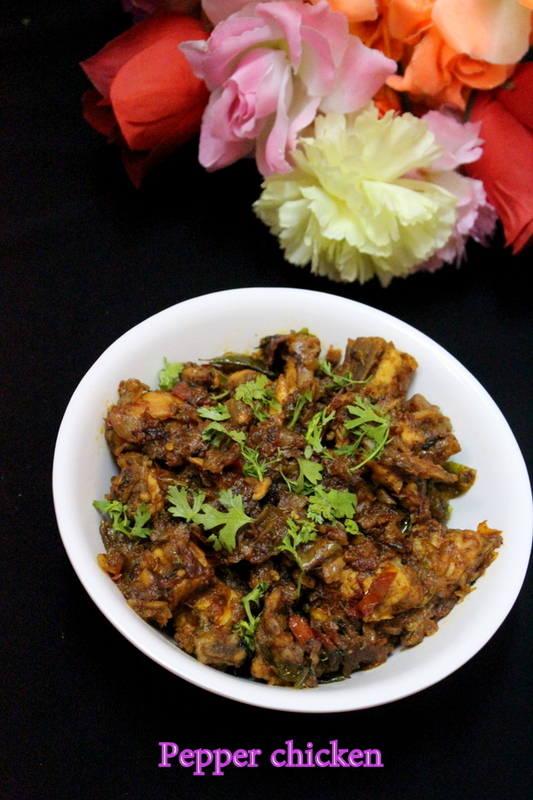 It is a spicy chicken recipe perfectly suitable to make during winters and rainy. I have shared many chicken recipes which are fried versions, curries, korma recipes all made with chicken. 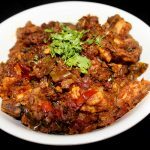 This pepper chicken is a semi gravy and semi dry version of pepper chicken made totally in south indian style. It has got lots of pepper powder, onions, tomatoes and some dry spices added into it. Since it’s made in south indian style we also add curry leaves into the chicken curry. In tamil and kerala states it’s a very special recipe found in hotels and restaurants and this dish is served more than any other south indian non veg dish in south india. Since here rains are occurring frequently I have made this pepper chicken to have it with plain white rice or steamed rice or roti. Eating pepper chicken in rains with rice gives a pleasant feeling and when we want to eat something spicy this is the perfect recipe to be made. It takes in only simple ingredients that are easily available at home and if required we can even skip pepper powder or increase or decrease the quantity of pepper powder in the recipe. Below are the recipe details on how to make pepper chicken recipe with step by step details and video procedure. A special and popular south indian kerala style and andhra style of making spicy chicken curry using onions, tomatoes and generous amount of black pepper powder. Add curry leaves, green chillies, chopped onions and saute for few minutes. Add chicken and roast until color of chicken changes. Add chopped tomatoes, turmeric powder, red chilli powder, coriander seeds powder, black pepper powder, garam masala powder. Cook for five minutes on low flame and keep stirring in between. Add some more salt if required and add coriander leaves. Cook the chicken until it is cooked well and until the chicken turns soft. i like pepper chicken thank you for giving information and this is useful to me and i have prepared andhra chicken curry.